Extra large handle for better, stronger leverage. Hand forged Viking feasting banquet knife with spiral in handle. All our kvinnoknivs are handmade in iron so slight variations in size and shape can occur. Blade can be re-sharpened. This is much smaller with approx. half the blade length of our regular kvinnokniv. 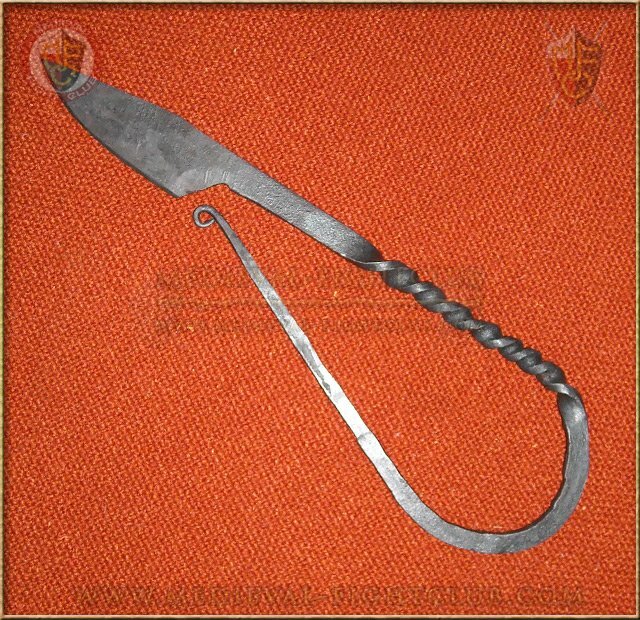 Traditional iron knife (kvinnokniv) worn and used by Vikings for their daily domestic chores, typically used to prepare food and work crafts.